Hello again, we can’t quite believe it’s August already! So, here’s our update on what has been happening throughout July and what’s coming up in August. On the 17th August we have our summer open event. Our main demonstrator this year is Richard Raffan. Unfortunately, tickets for the Saturday are now sold out but we are holding another demonstration on the Friday, we have limited number of tickets left at the moment but we expect this to be sold out shortly. Click here to book your tickets now. Please note the Friday is not an open day, it is purely the demonstration with Richard Raffan. We are not taking any walk-ins; all tickets must be booked in advance due to having limited seating available. From the 20th August to the 1st of September, our parent company Robert Sorby will be on the Woodturning Cruise! If you’re onboard pop over and say hello. 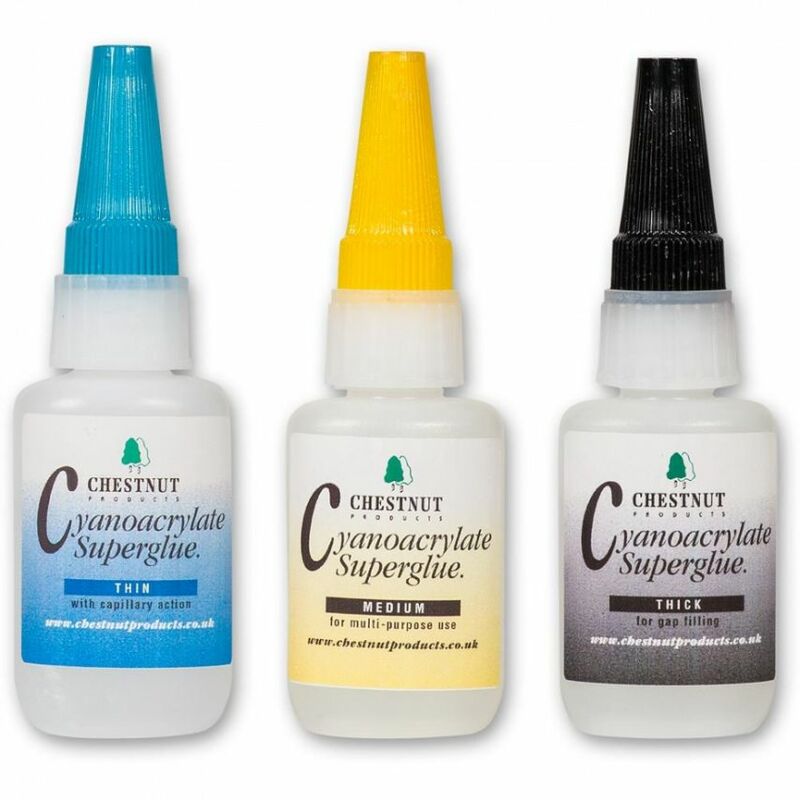 Our Cyanoacrylate glues by Vitalbond have been replaced by the Chestnut Cyanoacrylate glues. They’re available in the same sizes as before. 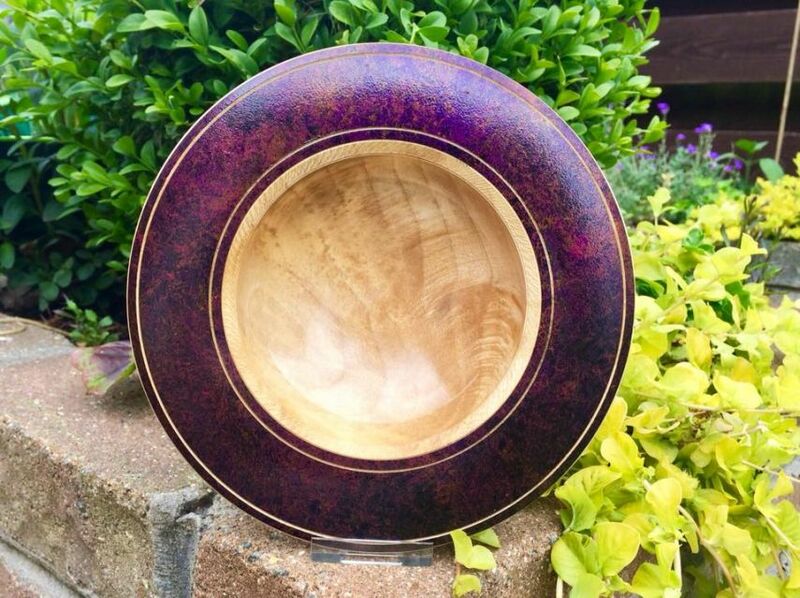 We also have the new Chestnut Iridescent Paints available. So far, they’ve proven very popular and after looking at examples of people’s work, we can see why. It is coming – we promise! We’re still working hard to get it just right. We’re working on all the new products and trying to get everything photographed ready for production. We’re still aiming for a September launch! Our Facebook page is still busy. We have regular posts for you to show off your work and we will have more competitions coming up throughout August so keep a look out for that. Click here to join us on Facebook. Which wood is technically a grass, neither softwood or hardwood. Unlike other woods, the most usable part is toward the exterior of the trunk. It doesn’t show any growth rings and has no knots. What is the definition of a hardwood? Hello and welcome to the first news post from Turners Retreat Craft Supplies! Here’s an overview of the year so far and what we have coming up in July. Robert Sorby, our parent company, are doing a tour of Australia and New Zealand starting on 1st July and ending on the 22nd July. For more information click here. We will be attending the Patchings Art Festival 25th Anniversary on 12th – 15th July. The festival is at Patchings Art Centre, Nottingham, NG16 6NU. We will be there with Clive Brooks of Robert Sorby who will be demonstrating Pen Turning and Lisa Shackleton who will be demonstrating the art of Pyrography. We hope to see you there. You can find more information on the show here. Our latest new product is the pen kit inspired by the classic American motorcycles with its eagle head nib and kick start inspired mechanism. The pen is definitely eye catching but the weight makes it all the more impressive. Although not too heavy, the pen definitely gives the impression of top quality with an expensive feel. We have complimented the pen’s chrome plating by using an African Blackwood pen blank that finished the pen off beautifully. These kits are now on sale at £19.95, you can purchase them here. Or click here to see our quick video of the kit! This month we have a good supply of Snakewood pen blanks. Renowned for it’s beauty and ability to compliment any pen kit, this blank is a Turners Retreat all time favourite. Our timber room is also fully stocked as we enter the month of July, come and see it for yourselves or check our online timber store here. Unfortunately, after working here for five years, Simmone has taken her career in a new direction and we wish her all the best for the future. In January we welcomed Colette back to our team. She previously worked for our team a few years ago so many of our existing customers will remember her for her bubbly personality and friendly nature. We are glad she chose to return to Turners Retreat and we know you’ll enjoy speaking with her too. In other news, our store and online shop are busier than ever. This is good news for Turners Retreat but not the packing staff who have been working extremely hard in the heatwave we’re experiencing! All in all, we thank you all for your continuous business with us and we hope to continue doing business with each and every one of you well into the future. Our Father’s Day promotion went exceptionally well, thank you to everybody who ordered with us over the Father’s Day weekend. We hope you’re all happy with your purchases. Our new catalogue isn't quite ready yet. We have new items coming in that we really want to put in there that will need photographing. We promise you it will be worth the wait! In the meantime, if you haven't already, you can request a catalogue and join our waiting list. As soon as the catalogue is ready it will be posted straight to you. We are getting a competition page built into our website! Although it’s not ready just yet, it should be within the next couple of weeks. Should you wish to receive updates on our competitions please sign up for our newsletter through our website. Competitions will be run on a monthly basis with fantastic prizes every time so keep your eyes peeled! Our eBay store is still going strong. Our best seller remains the Peter Childs Pyrography Machine. Our Pentacryl and Wood Juice were close runners up in June! Our Facebook came to life with the football when we ran a prize draw on the football results. Congratulations to Lucy Glover, Jim Turnbull and Lauren Hutchinson who all won a £20 voucher. Well done to Ben Billingham, Ian Carpenter, Lucy Glover and Tim Winch who guessed all three results correctly and was entered into a further draw, our winner was Ian Carpenter who won a £50 voucher! Click here to come and join us for more competitions, the latest news and so much more! Our YouTube channel will be getting busier as time goes on. Our company has grown so quickly over the past few years that we haven’t had chance to keep our YouTube channel filled with fresh material but that is all changing – again, keep your eyes peeled!